At the law office of Candace E. Rader, we've earned our reputation as the law firm that fights for our clients through 15 years of aggressive, tenacious, and successful representation of clients in Georgia criminal and family law courts. We invite you to learn more about our law firm and attorney Candace Rader by reading through this website. If you are facing legal issues, especially if they are in a courtroom setting, we're the law firm you want in your corner. Contact our Carrollton law office to schedule an appointment. 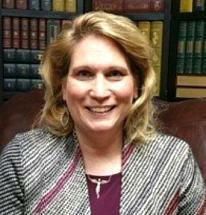 Carroll County lawyer Candace Rader established her practice in 1995 to serve the people of West Georgia. She focuses her practice on criminal defense and family law, helping individuals and families face the most difficult time periods of their life. In Family Law matters, Ms. Rader draws upon her mediation experience to help couples reach divorce and property settlement agreements that work for them. If an appropriate agreement cannot be reached and a client must take their case to Georgia divorce court, Attorney Rader's years of courtroom experience make a difference. We are not afraid to take a difficult case to trial. In Criminal Law cases, Ms. Rader is a fighter in the courtroom, willing to take a case as far as it needs to go to ensure fair treatment for her clients. From murder to traffic violations, she will take on difficult, even unpopular cases. When your life is on the line, when important principles are at stake, Attorney Rader believes your rights are worth fighting for. "I really believe it's important to fight. If you don't get up to bat, you can't hit the home run." At our law office, located one block from the Carroll County courthouse, you'll receive prompt and friendly service from our professional staff, and a warm welcome from Reagan and Justice, the law firm dog and cat.